Singapore will build a fourth water desalination plant to meet future water needs in the city area and strengthen its drought resilience. Yesterday, national water agency PUB announced that it will call for a tender for the provision of consultancy services for the new plant in Marina East. It will be able to treat freshwater from the nearby Marina Reservoir and produce 30 million gallons of water per day. PUB deputy chief executive (policy and development), Mr Chua Soon Guan, said the agency has been making investments to build up and diversify Singapore’s water sources to strengthen water security. With the new plant, Singapore will be able to produce a total of 160 million gallons of water a day through treated seawater. Singapore’s agreement to obtain water from Malaysia ends in 2061. By 2060, its water needs are expected to be about double the current 400 million gallons a day. The desalination plant is part of the Government’s plan to ensure that Singapore can meet 80 per cent of its water demand through treated seawater and Newater, or treated used water, by 2060. To achieve this target, plans are well under way. The third desalination plant in Tuas, for instance, will be completed by 2017, and produce 30 million gallons of water per day. The fifth Newater plant is expected to be completed by next year and will supply 50 million gallons a day to Singapore’s water supply. Senior research fellow Cecilia Tortajada, from the Institute of Water Policy at the Lee Kuan Yew School of Public Policy, said building a fourth desalination plant is a “very smart move”. “It’s part of the strategy to build the water resilience of Singapore. The location is also an advantage because they can tap the water from the Marina Reservoir,” she added. PUB said the tender for the fourth desalination plant will be put on the government Gebiz website today. The tender will include the engineering design for the development of the plant under a Design-Build-Own-Operate arrangement. In recent weeks, Singapore leaders have raised concerns about Singapore’s water supply. 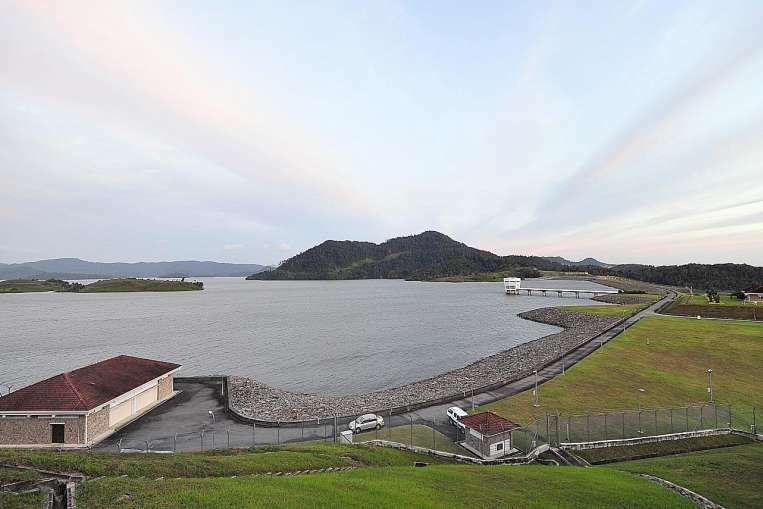 Last month, Dr Vivian Balakrishnan, Minister for the Environment and Water Resources, highlighted how dry weather had led water levels in Johor’s Linggiu Reservoir to drop to an all-time low that month – of only 54.5 per cent of its capacity. The reservoir’s water level affects Singapore’s ability to draw water from Malaysia’s Johor River. This article was published by THE STRAITS TIMES, September 4, 2015.